This is gonna be vague but I remember watching this movie when I was young. I only remember certain visuals but they've stuck with me since. Lead character was a blonde girl I believe. Or a girlish boy. She/he had telepathic/mind powers I think. She, among some other individuals board a spaceship. Now if I remember correctly the spaceship is sentient, or malicious. It starts killing off the passengers. One visual I have is a character being sucked off into space after the ship opens one of it's outer doors. The ship also infects/mind controls some of the passengers into killing each other, and I remember the final scene playing out in a yellow lit room, with the lead character fighting/killing off a particularly nasty mind controlled guy, who resembles Kim Coates. It's all I got. Really vague I know. Any ideas? 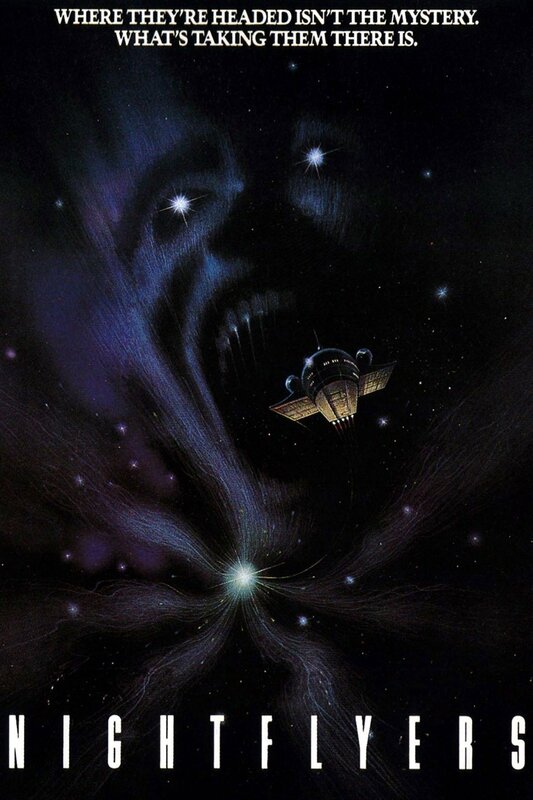 Nightflyers (1987) with Catherine Mary Stewart. Stewart is the lead character & has telepathic powers. They're on a scientific expedition, but funds are low, so they hire out an unorthodox spaceship. The owner of the spaceship died & somehow transferred her mind into the ship itself. Her "son" (a clone)is the caretaker/pilot, and he is lonely and wants to meet other people, so he hires out his ship. Mama doesn't like that, and wants to keep her son to herself, so she begins to find ways to kill off the members of the scientific team. She takes over one guy's mind and turns him into a killer. She opens the cargo bay doors, and one member of the expedition is sucked out into space. And the final battle is between her reanimated corpse (I think) and her son & Stewart, and she looks really horrific. Not the answer you're looking for? Browse other questions tagged story-identification movie spaceship or ask your own question.